Artwork inspired by nature by graphic impressionist Solveig. I went one year to the Toowoomba flower show. It was wonderful. Colour was everywhere. Flowers and fragrance engulfed me. Swathes of lavender, rows of dark rich parsley, yellow tulips and magenta zinnias. Everywhere, nature’s most vivid blossoms in full display. Flowers remind me of beauty and love and creative expression. 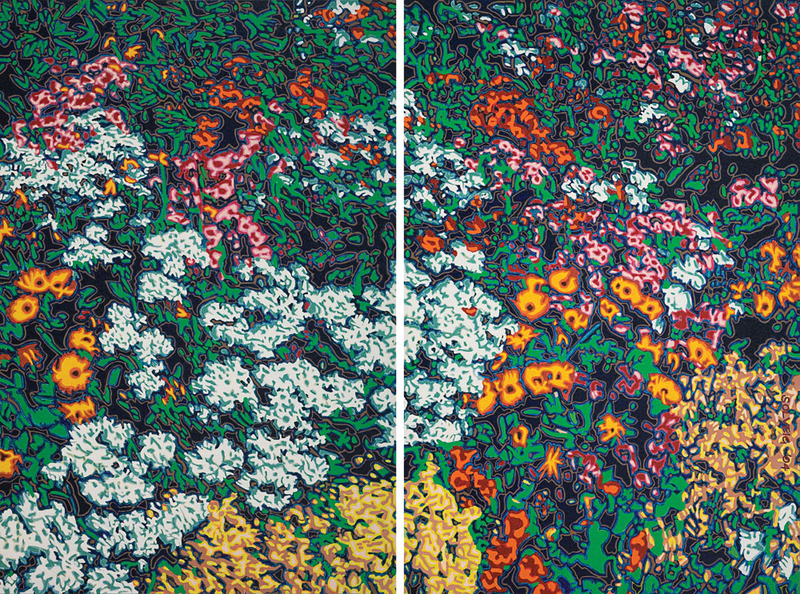 This is a two panel impression of the assault of colour comprised of myriad plants and flowers. Keep up to date wih relevant news and events and be the first to know about art launches and product releases.